In addition to a hugely successful equestrian accessories business, Shelley Penny has now established a side line of fantastic and functional canine show accessories including lead carry bags, coat bags and general gear bags. Exceptional quality, amazing embroidery and huge colour range. Fantastic turn around time on all products, with postage available Australia wide. We thank Shelley for allowing our beautiful team of English Toy Terriers to have her custom made gear! Website. So who are PetHaus? 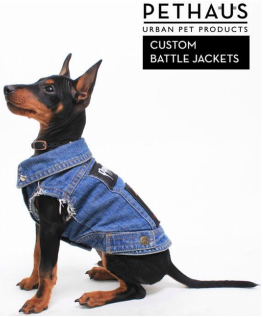 Urban pet products - for furry friends with attitude & style. Designers of one of a kind, custom hand made battle jackets. Gorgeous vintage look Japanese denim, lined with white cotton for extra comfort. All jackets have hand distressed arm holes and hand sewn patches for authenticity, and each vest comes with collar hole for lead attachment. 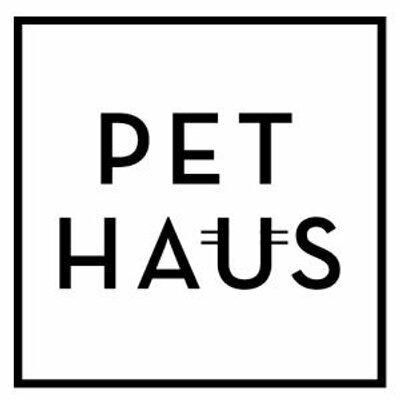 Head over to pethaus.com.au to find out more! Yurrugar William Tell. Supermodel for Pethaus!